It is not often I get the chance to share a book review with you here on my blog, those I have reviewed are either baking or gardening related. So it makes a nice change to have the chance to read a book all about Tea. It also gives me the opportunity to include this book towards this year's reading challenge I am completing. How to Make Tea :The Science Behind the Leaf by Brian R Keating and Kim Long is published by Ivy Press. Reading through the book you will discover the history of tea, its location it is grown, how it is produced, health benefits and the different types of tea. There are so many interesting facts within this book, information around the geographical distribution of tea and the types of tea consumed by different countries is truly fascinating. I most enjoyed the chapters of Buying and Storing Tea, The Basic Necessities and How to Make Tea. I did titter to myself whilst reading the Tea in Great Britain section, it made us sound like a nation that constantly drinks tea, accompanied by food or a sweet treat - I think it is fair to say that the author nailed it, pretty much sums up my days. Tea, cake, tea, biscuit, tea, chocolate etc. The book starts with a little history around the growing areas in the world including how Britain influence its growing outside of China. Tea is produced from the Camellia plant, yet we manage to create three main different teas from the same plant. Black, White and Green which are all the same tea variety but created by completing some all of the processes of tea production. Something I had never realised. For example White Tea is created when the leaves are steamed, then allowed to wither and then rolled and packaged. Whereas Black Tea excludes the steaming process but includes a rolling and full oxidation and firing process before being packaged. 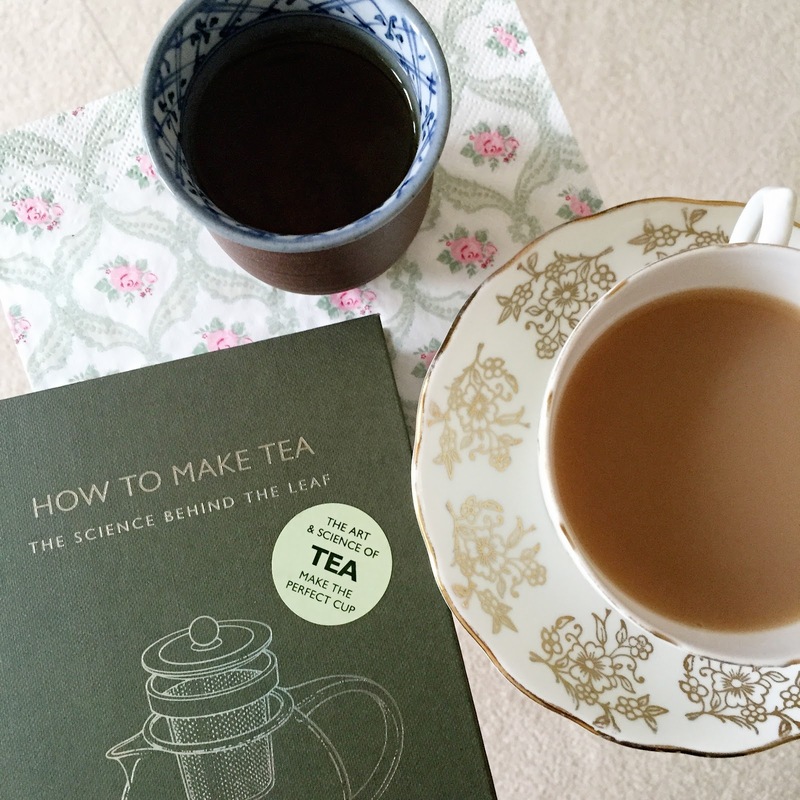 A very pleasant and informative book to read, and do not be put of by the title 'science behind the tea' the content at the beginning of the book is informative from a science perspective but not overly complicated or confusing. The author certainly delivers when he promised "lays out the facts for the tea-loving non scientist". Much has been made in the press about this book, an American telling the world how to make tea? From having read the book and having read some of the articles it is clear that they have never read the book themselves. As the saying goes 'Do not judge a book by it's cover'. I have certainly learnt a number of new facts about tea from reading this book, some of which will influence my buying, brewing and drinking of tea in the future. Seriously consider buying organic tea - the tea plant can absorb heavy metals from the soil, many established tea growing nations are now also the home to major industry such as China and India. Organic teas are not only checked for levels of pesticides but also heavy metal. I always considered buying organic, but had never consider how heavy metals could play a part in tea before. Water - as the book says Water is the mother to tea. Never brew tea using tap water containing chlorine. Use filtered water or run your cold water for a few minutes then fill a jug and allow it to sit overnight, apparently almost all of the chlorine will have dissipated naturally. Storing Loose Tea - tea can last between 1 to 3 years but must be kept in the right conditions to preserve it. In an airtight tin, away from moisture, heat and strong odours. Never store tea near coffee. Pyramid shaped tea bags may look gimmicky but actually allow the tea to swell and agitate in the water, something standard tea bags do less well. 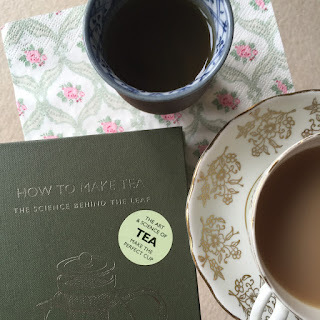 This book is clear that there really is no right or wrong way to make and enjoy a cup of tea, everyone has their own unique methods of brewing that perfect cup. Disclosure: I was provided with a copy of the book for the purpose to review. Post contains affiliate link.